The world's 10 most popular solitaire card games just got better ! Top Ten Solitaire is a visually stunning and polished version of the world's favorite card games ! 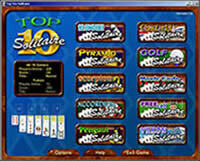 Top Ten Solitaire The world's 10 most popular solitaire card games just got better! 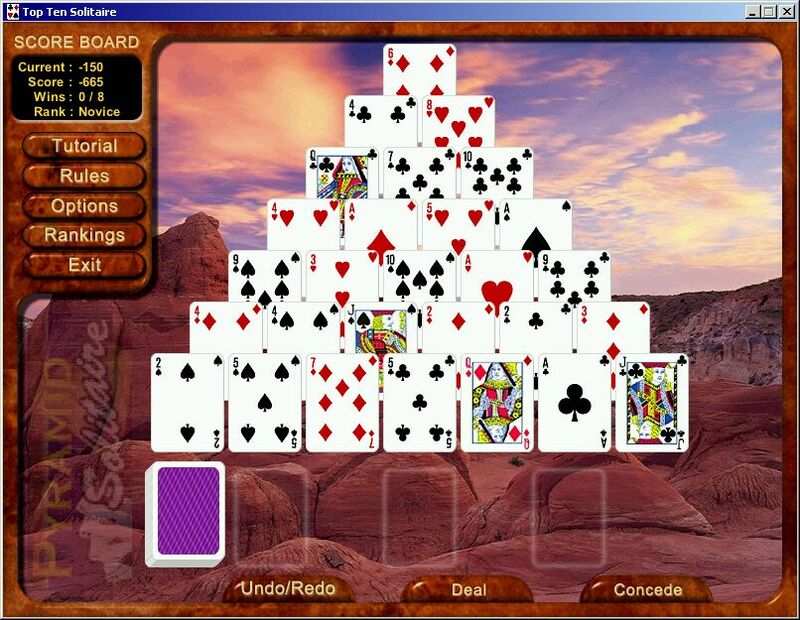 With amazing graphics, animated cards, soothing music, great features and polished game play, it is the best solitaire game ever. 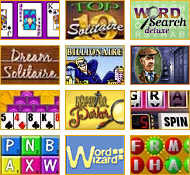 Play Klondike, Pyramid, Scorpion, Accordion, Penguin, Canfield, Golf, Monte Carlo, Free Cell, and Yukon all in one collection. This collection is complete with a world wide ranking system to compare your skills to all other players. 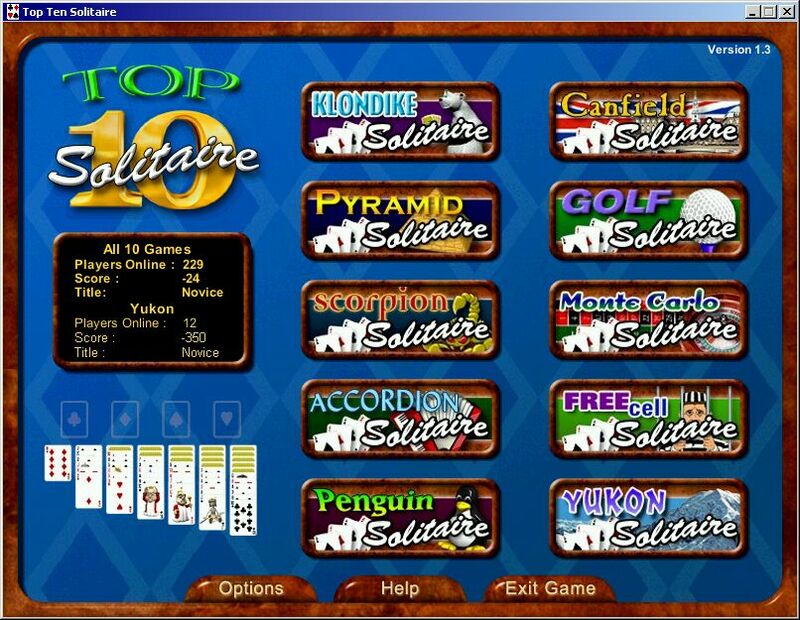 Top Ten Solitaire Choose from 10 high resolution backdrops, 10 card decks, and 4 great acoustical guitar and jazz soundtracks, then immerse yourself in the addictive game play each of these ten games have to offer. 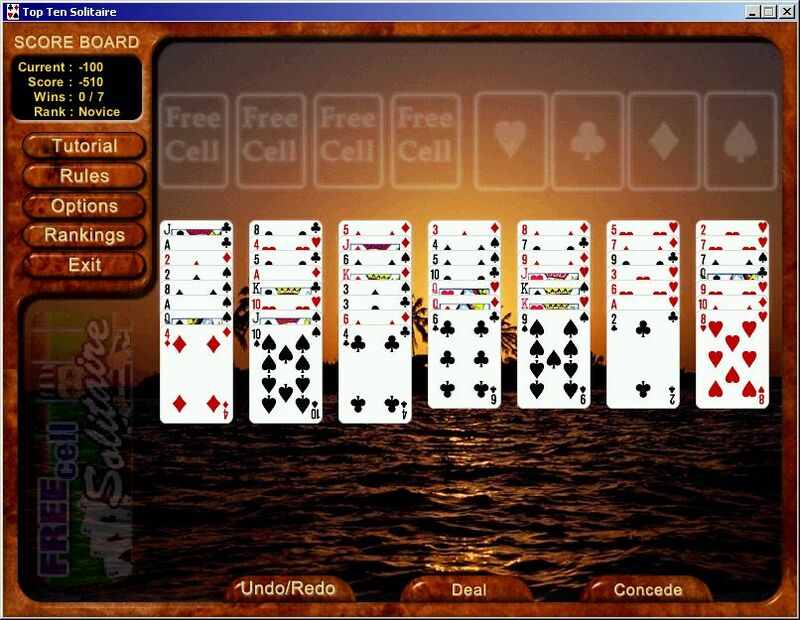 When you are done, see how you rank with other solitaire players from around the world. 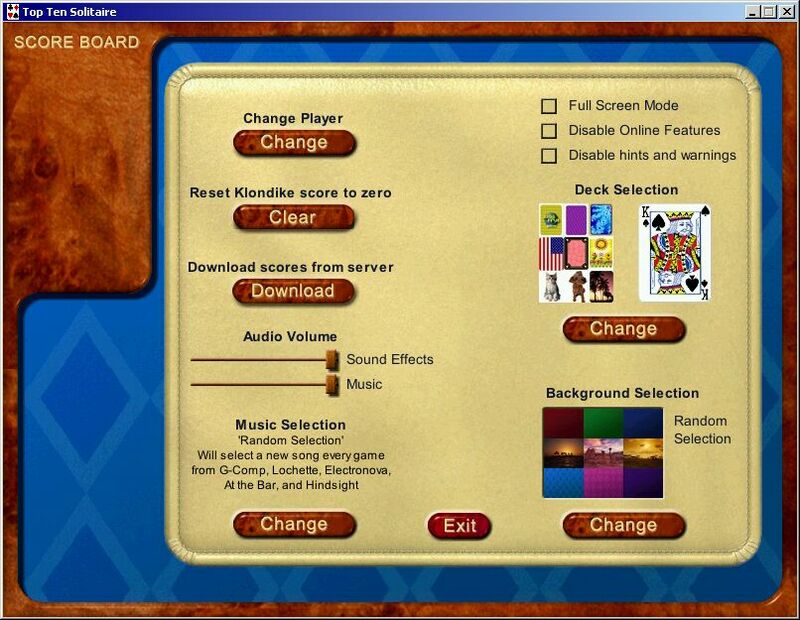 Top Ten Solitaire is a visually stunning and polished version of the world's favorite card. The world's 10 most popular solitaire card games just got better. Amazing graphics, animated cards, soothing music, great features and polished game play. Choose from 10 high resolution backdrops, 10 card decks, and 4 great acoustical guitar and jazz soundtracks, then immerse yourself in the addictive game play each of these ten games have to offer.